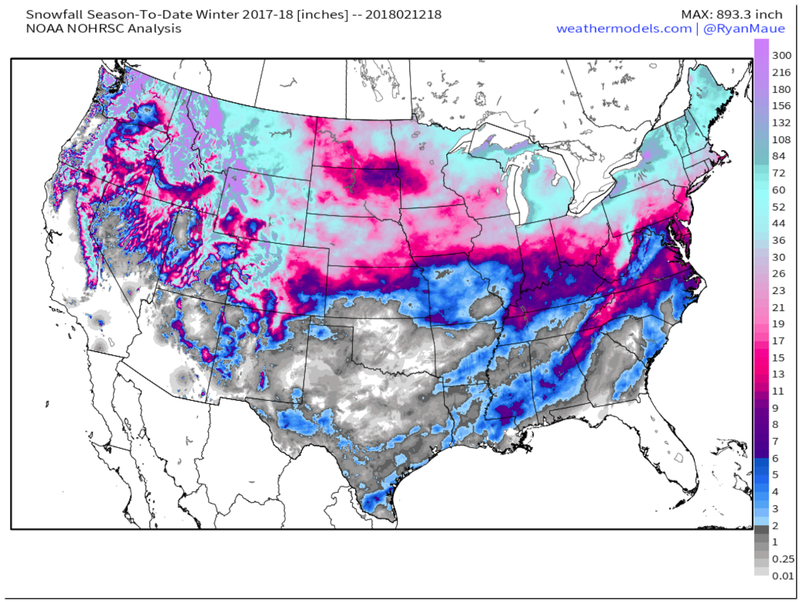 MSE Creative Consulting Blog: How Much Snow Has Fallen This Winter? 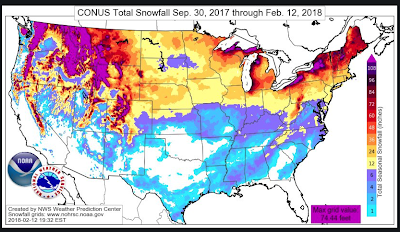 Thanks to my friend Greg Carbin with the National Weather Service, here is a map of snowfall for winter 2017-18 as of yesterday. Here in Wichita, we are 9" below normal on snowfall for the season. It is interesting that southern Mississippi has had much more snow than southern Kansas. My friend Ryan Maue was kind enough to create a second map (same period of time) where the colors begin with two inches. The grays represent lighter amounts. There are some indications that the snow drought over the winter wheat belt may be easing beginning late this week. Keep your fingers crossed.